No-one knows how long the Chinese were fermenting a sauce made from fish and spices that was called kê-chiap in the Amoy dialect, but we do know that by the time British colonialism had overtaken the Malay States, the sauce was there for them to discover. In the Amoy dialect it meant (literally) salmon juice, it was called kĕchap in the Indonesian-Malay languages, and the British adapted this to ketchup. 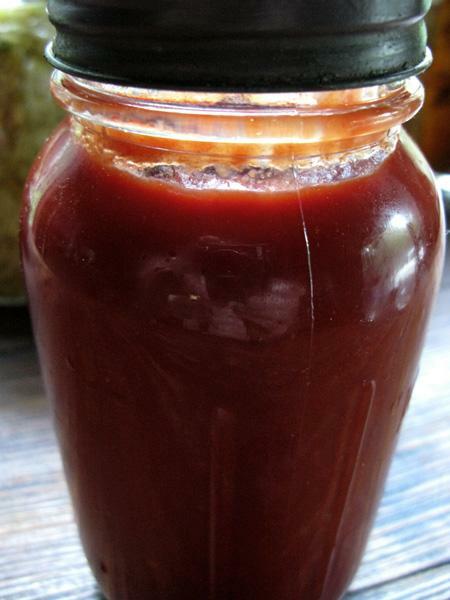 To the fermented fish sauce base, the British added ingredients such as mushrooms, oysters, walnuts and cucumbers, and as the sauce made its way to the Americas, the indigenous tomato was introduced to give us the ketchup we know today. But this last statement is not entirely true. True tomato ketchup is a fermented food, full of the pro-biotics, enzymes, vitamins and metabolites that make fermented foods so good for us. Modern day ketchup, however, is a sorry affair. 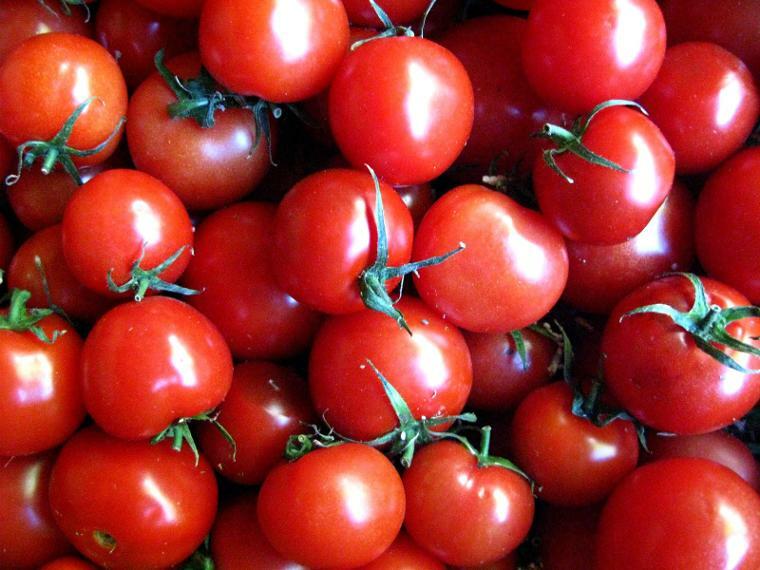 After tomatoes, the most important ingredient is usually high fructose corn syrup from genetically modified corn, and vinegar has been added to replace the natural acidification process of lacto-fermentation. Artificial colours, preservatives and other additives are also common in modern tomato ketchup. In place of what was once a health giving condiment that enhanced the taste of our food, our appetite for it, and our well-being, we have one more example of slow death in a bottle. And our children love it! We can, however, produce a health and vitality enhancing condiment that our children (and we!) will love and consume with relish. It's awesome, even if I do say so myself, and as a lover of good ketchup, I feel qualified to offer my opinion! 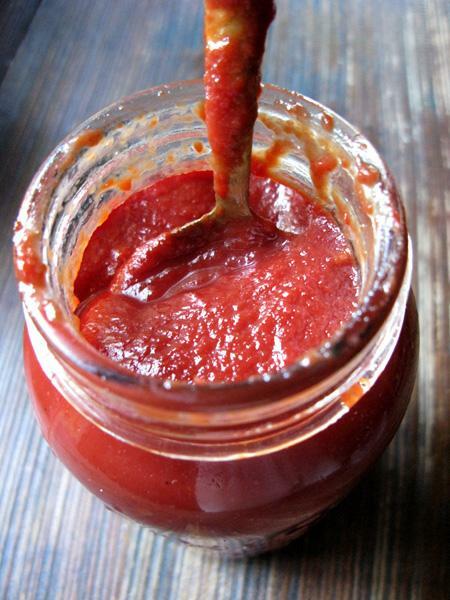 For the best homemade ketchup, use fresh, organic tomatoes and first sieve them to remove all seed and skin. You should be left with a foamy pinkish-red liquid as in the photo above. From there, careful and slow reduction over a moderately gentle heat is all that is needed. Remove from the heat when at the desired consistency, then allow to cool. Mix all the ingredients together thoroughly and place in a jar (this amount will fill a 2 lb/quart/1 litre jar) so that the ketchup is one inch (2.5 cm) from the lip. 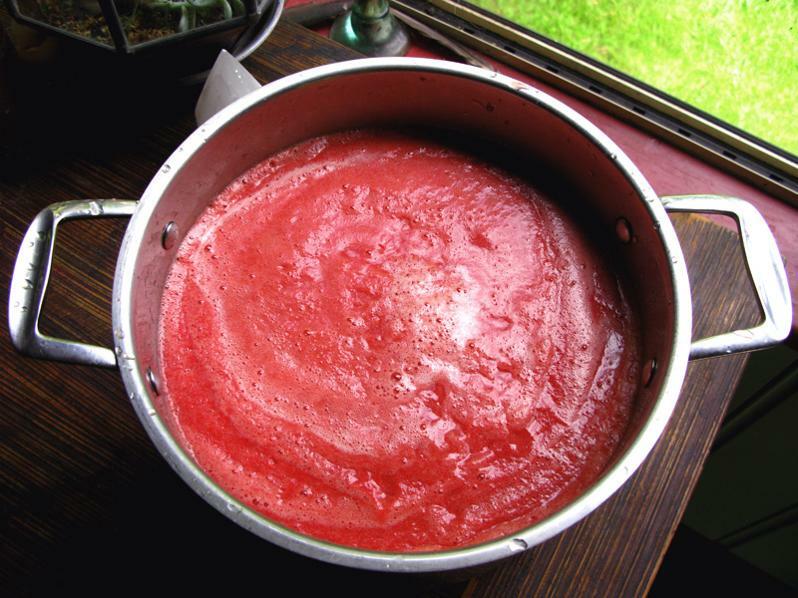 Seal the lid and leave out on the bench for 3 – 7 days (hot weather = less time to ferment). Once fermented to taste, transfer to fridge and enjoy.